How to make homemade brandy? 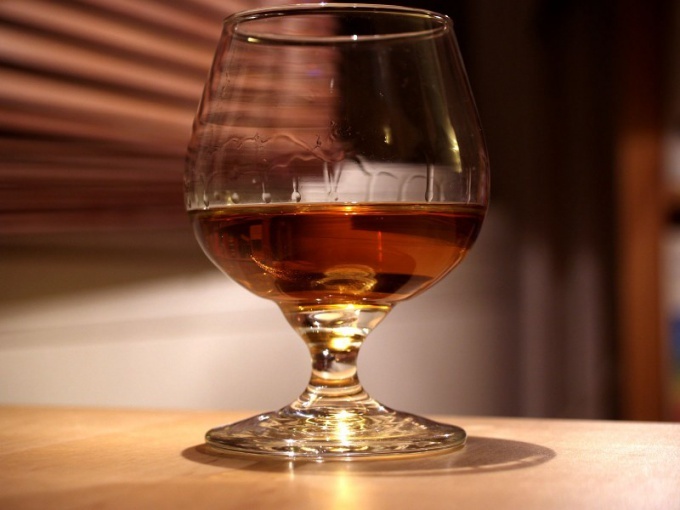 Cognac is one of the most "noble" spirits. It is customary to not drink in one gulp but in small SIPS to appreciate the nuances of flavor. In the technology of production of cognac there are many subtleties. Many people in the post-Soviet space still consider brandy as a cross between vodka and tincture herbs. However, there are real connoisseurs of this noble drink. No wonder they say that the ability to enjoy the taste of it increases with age. Yes, and cognac on the shelves in stores more and more. However, in fact, a significant portion of products that are sold in shops under the name "cognac", in fact, is brandy. The fact that all over the world cognac is called alcoholic drink produced from grapes grown exclusively in one of the six areas of the French province of Cognac, located around the city. In France there are strict laws governing the process of brandy production, from grape varieties and boundaries of the area of its cultivation to the bottling of drinks in bottles. So what is the real brandy? For the production of cognac is permissible to use only eight white grape varieties, the main of which - "Ugni Blanc". After harvest, press the grapes and ferment the resulting juice. On average, the process takes four weeks. Then the process of double distillation in "Charentais" method. The resulting distillate – "water of life" is poured into barrels of Limousin oak and allowed to stand two years in the cellars. There, in a special microclimate, with a constant temperature of 150 degrees Celsius and humidity up to the 950S, the brandy interacts with the wood, enriching the taste and aroma. Over the years, the part of the alcohol evaporates through the pores in the wood barrels. This loss is romantically called the "angels share". The final step in brandy production is blending – the process of mixing cognac spirits of different age, vintage, region, grape variety, etc., to obtain a blend (taste and aroma) characteristic of a specific brand of cognac. If the label of a bottle of cognac there is a marking "aging 5 years, this suggests that five years is the minimum age of the cognac. While in the blend, usually present and the older spirits. In addition, many of the cognac house age increases brandy alcohol in their cognacs to enhance their status. For example, V. S. – make a three-year old V. S. O. P. – five or six years, and X. O. – eight or ten years. Is it possible the manufacture of cognac at home? Considering all the above, it becomes obvious that to make brandy at home is impossible. Cognac is a product of the distillation of grape spirits infused in a special way, it is impossible to provide outside of industrial production. In the Internet you can find recipes "homemade brandy", but they all boil down, generally, to the repainting of vodka or moonshine with the tea and flavoring with vanilla or cinnamon. These compounds usually do not insist. Such products are, of course, has a right to exist, but it is not only irrelevant to the actual brandy, but not like it nor taste, nor smell.